The Northwest Resource Information Center filed a brief in the 9th U.S. 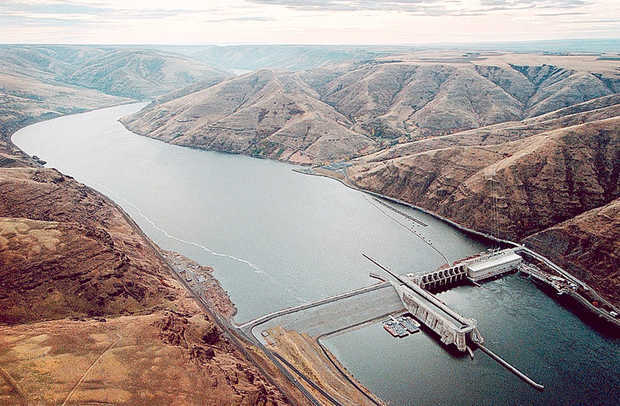 Circuit Court of Appeals on Jan. 14 asking that the Northwest Power and Conservation Council's 2014 Columbia River Basin Fish and Wildlife Program be set aside and a new program developed to comply with the Northwest Power Act. NRIC announced its intention to challenge the 2014 F&W program 60 days after the Council published its decision to adopt the program in March 2015. NRIC has litigated two other versions of the program. Ed Chaney, NRIC's executive director and a longtime advocate for Columbia and Snake river salmon and steelhead, said, "The federal courts are the public's only hope of unraveling" what he called "the Northwest Big Short." Represented by Earthjustice, the conservation group argues in its Jan. 14 filing that the Council has shirked its responsibilities under the regional act, deferring instead to "an Endangered Species Act Biological Opinion which has been serially rejected by the federal court," the petition says. The NRIC petition compares the ESA and the regional act, stating the former's purpose is to prevent extinction, while the latter's is to "produce full restoration," as Chaney put it. The complaint argues that no substantive measures for dam and reservoir operations are in the 2014 plan to protect ESA-listed salmon and steelhead. "For these species, the Council simply substitutes compliance with the ESA for compliance with the power act," the petition states. The reliance on the BiOp was not because of a paucity of recommended hydro-system measures to help salmon, the brief maintains. It quotes a 2013 Council staff summary of Columbia main-stem recommendations in which Oregon, the Nez Perce Tribe, the Pacific Fishery Management Council and others advocated for increased spill. In the summary, some environmental groups suggested "de-linking the program from the Biological Opinion measures" and adding other actions including running John Day and other lower Columbia reservoirs at minimum operating pool and breaching the four lower Snake River dams. Also in the Council summary was a recommended focus on ecosystem function to "assist in restoring more natural floodplain functions, hydrograph and habitat all along the main-stem through the estuary and plume." The Fish and Wildlife Program--which dates from 1982, two years after the Northwest Power Act's approval--has been amended by the Council 18 times in what are essentially seven different comprehensive programs. The power act calls for an updated plan at least every five years. The 9th Circuit decided two other cases brought by NRIC against the Council's fish and wildlife plan, Northwest Resource Information Center, Inc. v. Northwest Power Planning Council and NRIC v. Northwest Power and Conservation Council. According to NRIC's current lawsuit, in both of the preceding decisions, the federal court ruled that the Council "failed to explain why its measures [in the 1992 and 2009 programs] were adequate to meet the fish and wildlife protection requirements of the power act." The 2014 program again fails to do so, the new filing contends. Also, quoted in the current brief is the 9th Circuit's 2013 ruling that the 2009 program likely "underestimated the degree to which the region could accommodate fish and wildlife measures while maintaining an adequate power supply." "The region has a surplus of energy," Chaney claims in a declaration filed with the Jan. 14 opening brief. "BPA has given away [Federal Columbia River Power System] power to utilities and paid to shut down private wind generators, which produce far more power than the four lower Snake River dams at precisely the time of year listed Snake River salmon suffer the highest rate of mortality," Chaney wrote. "Many of the fish-related lawsuits including this one against the Fish and Wildlife Program are collateral attacks," said Terry Flores, executive director of Northwest RiverPartners. "Going after the hydro system is a means to an end, with that end being removal of four dams on the Snake River," she said. RiverPartners is one of the respondent-intervenors in the NRIC suit. The Council is not commenting on the NRIC petition at this time, said Council spokesman John Harrison. The Council's response brief is due to the court on April 13. In addition to Northwest RiverPartners, other respondent-intervenors are BPA; Kootenai Tribe of Idaho; Public Power Council; Spokane Tribe of Indians; State of Montana; and State of Idaho. Their briefs are due to the court on May 13.